Discernment Counseling is a new way of helping couples where one person is “leaning out” of the relationship—and not sure that regular marriage counseling would help–and the other is “leaning in”—that is, interested in rebuilding the marriage. We can help you decide whether to try to restore your marriage to health, move toward divorce, or take a time out and decide later. The goal of Discernment Counseling is for you to gain clarity and confidence about a direction, based on a deeper understanding of your relationship and its possibilities for the future. In other words, the goal of Discernment Counseling is not to solve your marital problems but to see if they are solvable. You will each be treated with compassion and respect no matter how you are feeling about your marriage at the moment. No bad guys and good guys. You will come in as a couple but the most important work occurs in the one-to-one conversations with your therapist. Why? Because you are starting out in different places. Your therapist will respect your reasons for divorce while trying to open up the possibility of restoring the marriage to health. Your therapist will emphasize the importance of each of you seeing your own contributions to the problems and the possible solutions. This will be useful in future relationships–even if this one ends. Number of Sessions: Discernment Counseling provides a maximum of five counseling sessions. Why only five sessions? 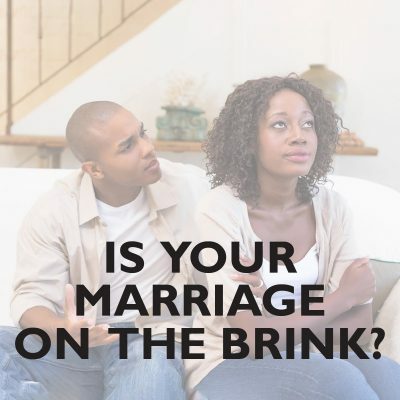 If after five sessions a decision cannot be reached whether to restore the marriage to health through couples therapy or end the marriage through divorce, it’s time to take a break from discernment counseling and continue with the way things have been. The first session is usually two hours and the subsequent sessions are 90 minutes or two hours, depending on need. Because most troubled marriages can be restored to health if both partners dedicate themselves to make that happen, the first stance of the therapist should be to help see if the path of healing through couples therapy is possible. Some divorces are unavoidable because one partner chooses the path of divorce, sometimes against the wishes of their spouse. When clients choose divorce, their therapist has a responsibility to make them aware of additional resources, including individual therapists and divorce professionals who can facilitate a fair and healing separation process. 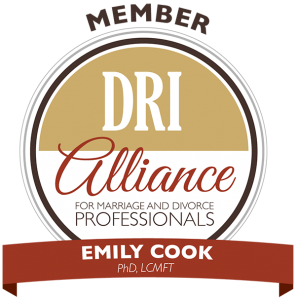 Dr. Emily Cook, Jocylynn Stephenson, and Lindsey Foss have been specially trained to provide Discernment Counseling at Emily Cook Therapy in Bethesda, MD. Read a recent blog post about discernment counseling in Bethesda, MD. Discernment Counseling was created by the Doherty Relationship Institute, which you can read more about here. Interested in reading a recent peer-reviewed journal article about Discernment Counseling? Click here.